'The Spell' was written over a long period of time in various parts of the world. From the peaceful mountains in Switzerland to the busiest parts of New York city. We recorded the album in two parts, one in the Soundfarm Studios in Lucerne and the other at New Sound Studio with Tommy Vetterli who co-produced the album with Anna Murphy and mixed it. We want to thank Kate at AISAmusic UK and everyone at Nuclear Blast for making this album possible. Tommy Vetterli (mix) and Tony Lindgren (mastering) for making the music shine. Tommy, Fredy & Dennis for co-writing with us. Costin for bringing the story to life with his amazing visuals. Fredy, Shir-Ran, Mitch, Andi & Patrik for their guest appearances. And all of you for listening. We hope you enjoy it." 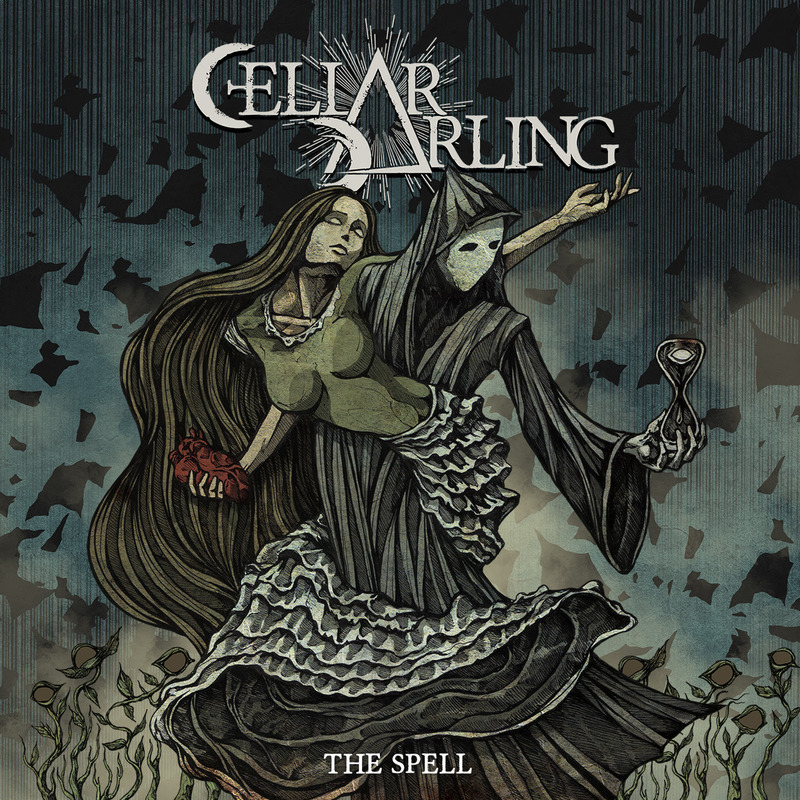 You can get the new CELLAR DARLING album as 2 CD-digibook (featuring 13 songs + an audiobook of Anna Murphy telling the story behind the concept), black vinyl or digitally via this link: http://nblast.de/CDTheSpellThe band also asked Costin Chioreanu to create the dark and mesmerising artwork representing each of the 13 songs on 'The Spell'. Now each chapter has been brought to life with an exclusive, signed and dedicated art print that the band are offering in their own online store.